https://nashville.bintheredumpthatusa.com/dumpster-rental-dickson	Bin There Dump That Nashville	https://nashville.bintheredumpthatusa.com/img/franchisees/59.jpg	7913 TN-100, Nashville, TN	Contact us for more details. 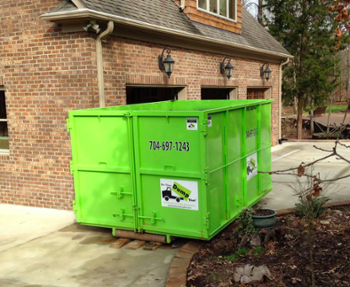 Discover how we make renting a dumpster in Dickson, TN a simple and easy process. Bin There Dump That is committed to making the dumpster rental process for the customer a seamless transaction, from placing an order for the needed dumpster size to delivery of the waste container in Dickson to an immediate pick up when you no longer need the bin on your driveway. Dickson TN is a city which is located in Dickson County. A beautiful community with some of the nicest people that you will find in the state of Tennessee. Dickson is a family oriented community which you can tell when you visit one of the parks around the Dickson area. Some parks and recreation located in Dickson are Holland Park and Tom Waychoff Memorial Park which are located downtown Dickson, J. Dan Buckner Park, Lester Speyer Complex, Tennsco Community Center/event space, Luther Lake, Lakeview Park, Dickson Housing Authority Community Center are some of the popular spots in Dickson. Your local Dumpster Rental Dickson, TN dumpster rental operator is Joey Bossier.